Dr Tjhin Wiguna is a Consultant in Child and Adolescent Psychiatry at Department of Psychiatry, Faculty of Medicine Universitas Indonesia and dr. Cipto Mangunkusumo General Hospital, Jakarta-Indonesia. He completed his psychiatry and child and adolescent psychiatry training at the Faculty of Medicine Universitas Indonesia and dr. Cipto Mangunkusumo General Hospital, Jakarta-Indonesia. 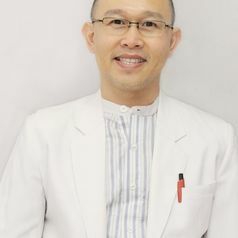 He holds a Master Degree on International Mental Health from the University of Melbourne, Australia and PhD in Medical Science from Universitas Indonesia. He practices in several hospitals in Jakarta and did many researches included infant mental health, mental health among school age children, violence and child abuse, delinquency as well as psychosocial aspects of children and adolescents experiencing trauma and bullying. He is a member of the Indonesian Medical Association, Indonesia Psychiatry Association, and Indonesian Association of Child and Adolescent Mental Health and Allied Professionals. In addition, he is also a member of American Academy of Child and Adolescent Psychiatry, World Association of Infant Mental Health and Marche Society of Infant Mental Health.